MVP: Sorry Tyson Barrie, you were named the Kelowna Rockets MVP last season but you will have to take a back seat to this man after a sensational first half. Nineteen year-old goaltender Adam Brown is my choice as MVP after 36 games. Brown has been consistent all season long and is the main reason why this team is in the mix in the Western Conference standings. Plagued by giving up soft goals and up and down play last season, Brown has been 'lights out' night after night. The statistics tell the story. Brown is among the top three goaltenders in the WHL in goals against average and save percentage. Those numbers are impressive considering he faces a lot of shots, plays huge minutes and doesn't play in front of star studded defensive core. I wish Adam Brown was two inches taller. If he was, NHL scouts would have to give him a long look. A sensational first half may force scouts to roll the dice on this technically sound goaltender. Best Defenceman: No question, it's Tyson Barrie. Outside of Brown, Barrie is the Rockets best player. The 19 year-old can control the tempo of the game and makes everyone on his team look better. Why? Barrie has the ability to move the puck up ice by himself when the Rockets are scrambling in their own zone and can quickly put the puck in the hands of awaiting forwards with ease. No one quarterbacks the power play better than Barrie. Best forward: It's a nice problem to have when you can pick two players as candidates for this award. If I had to pick just one, Mitchell Callahan's strong opening half edges out line-mate Shane McColgan. Why? Callahan brings so many facets to the table. He can score, check and fight. What stands out for me is Callahan's offensive production outside of power play time. Twenty (20) of Callahan's 33 points this season have come even strength. Top rookie: Considered to have one of the highest hockey I.Q's on the team, 17 year-old Colton Sissons is my selection as first half rookie of the year. Sissons battle level along the wall is tremendous for a first year player. A big body, Sissons is the first to loose pucks and wins more battles than he losses along the boards. You have to remember, Sissons isn't draft eligible until next season. A late birthday in November meant he opened the season at 16. Damon Severson is running a close second to Sissons after a solid first half. Best hands in-tight: Geordie Wudrick. No one on the Rockets is better at close range than Wudrick. His quick hands with the puck five feet from the net is lethal. Wudrick won't fly by you with his skating ability but when he gains control behind the opposition net, be prepared for something good to happen. Best role player: Jesse Astles. Yep. The 17 year-old now appears to realize his role on this team. Not afraid to fight, Astles has seven majors this season after recording just four in his rookie campaign. Astles has essentially taken over the role from Mitchell Callahan, who will still fight, but is of greater value with his presence on the ice, not in the penalty box serving a five minute penalty. Callahan has six fighting majors, one fewer than Astles. Most respected teammate: I had to include this category after an overwhelming majority of players glowingly talked about this teammate. While you don't find his name on the score sheet often, he does whatever is asked of him for the betterment of the team. He is a true leader in every sense of the word and should wear the 'C' next season. Who is this unsung hero? Spencer Main. Sleeping giant: Brett Bulmer. Once Bulmer adds consistency to his game, look out. When Bulmer is on, he's a game breaker. When he's off, you scratch your head wondering where did this guy go? A good skater, play maker and shooter, Bulmer has it all...plus he's blessed with good size. The complete package? If he figures out what is needed to be consistent every night he will be a top 20 point getter in the WHL. Guaranteed. Agree? Disagree? Let the debate begin by leaving a comment. This is opinion based. No comment is the wrong answer. The Kelowna Rockets know the value of good goaltending. So do the Kamloops Blazers. Adam Brown showed his worth Thursday night. Blazers netminder Jeff Bosch, who started the game, witnessed it from the bench. Brown was his 'Steady Eddie' self in the Rockets 7-1 win over the Blazers. Brown was one of the main reasons why his team enjoyed a 3-0 lead after 40 minutes before his teammates buried the Blazers in the third. Bosch was yanked after two periods after giving up three suspect goals, including two wrap-around chances by Cody Chikie and Geordie Wudrick. Chikie's opening goal is scored on a long range shot that sneaks past Bosch and trickles into the net. The soft goal comes after the Blazers are applying the pressure. Brown is holding his team in the game at one end while Bosch is letting his team down at the other. The Blazers deserved a better fate, so don't let the score fool you. But again Brown was a difference maker when his team was out-shot 12-6 in the second period alone. Brown makes 12 saves while Bosch allows three goals on just those six shots. That's the difference. Chikie, Wudrick and Shane McColgan each had two goal games. Brown's shutout bid comes to an end when Blazers captain Chase Schaber fires a low shot past the 19 year-old goaltender with about four minutes to play in the game. Brown had gone over 154 minutes without allowing a goal after shutting out the Everett Silvertips 4-0 on Tuesday and allowing just one goal in a 5-1 win over Calgary on December 17th. This was a physical affair, with two fighting majors and several big hits. It starts when Colton Sissons runs into Austin Madiasky at the Blazers blue line. Sissons falls down but while Madiasky stays on his feet and slowly makes his way to the bench, he appears to have the wind knocked out of him. The best hit came later when Rockets defenceman Kevin Smith comes out of the penalty box after serving a holding penalty and clocks Blazers forward Thomas Frazee. Smith finds himself challenged by Blazers forward J.T Barnett after the hit is applied. Smith ended the game with two assists, a fight and a +4 rating...the best plus/minus of any player on the ice. Smith is now a +10 in the month of December. No Rockets player has a better +/- during the month than Smith. The only other fight saw Blazers forward J.C Lipon tangle with Rockets d-man MacKenzie Johnston late in the game. Lipon is the aggressor, but Johnston answers the bell. It was Lipon's 7th fighting major this season. Johnston does well with only his second tilt of the season. Johnston comes within inches of scoring his first WHL goal when he hits the cross bar early in the first period. Johnston has yet to register a point this season and is now the only Rockets regular to do so. Gal Koren earned his first career point with an assist on Geordie Wudrick's second period goal. Let's take our hat off to defenceman Colton Jobke who played through pain yet played an affective game. Despite suffering a knee injury Tuesday against Everett, the 18 year-old was pressed into service and played some big minutes. The win is the Rockets 4th straight and moves them back into second place in the Western Conference. The Rockets have now out-scored their opponent 19-4. Tonight’s Preview: The Kelowna Rockets officially hit the half way point of the season with a game tonight against the visiting Kamloops Blazers. These two teams are meeting for the 4th time this season. The Rockets will play Kamloops three times in their next six games. The Rockets are in Kamloops Sunday night (6 PM). Overall the Rockets are 1-2-0-0 in the seasonal series, with the last loss coming at the Interior Savings Centre back on November 13th in a 4-0 setback. Overall, the Rockets enter tonight’s game having won three straight and ten of their last fourteen games and sixteen of their last twenty-one (16-5-0-0). Following tonight’s game the Rockets host Spokane Saturday in a rare New Year’s game. Rockets recent game: The Rockets used four power play goals in a 4-0 win Tuesday night over the visiting Everett Silvertips. Evan Bloodoff scored twice in the win while Shane McColgan and Geordie Wudrick added third period goals in the team’s 20th win of the season. Adam Brown made 26 saves for his first shutout of the season and 9th of his career. The Rockets were 4 for 10 on the power play while allowing the Tips just one chance with the man advantage. Who’s Hot: Shane McColgan has 3+3=6 in his last three games…Mitchell Callahan has 4+4=8 in his last ten games…Brett Bulmer has 2+5=7 in his last three games. Tyson Barrie has gone ten games without a goal yet has points in five of his last eight games (0+9=9)…Geordie Wudrick has ten goals in his last twelve games. Who’s Not: Cody Chikie has just two goals in his last 21 games. Max Adolph has no goals in his last 18 games. Zach Franko has no goals in his last nine. Spencer Main has one goal in his last 17. McColgan’s the man: Second year forward Shane McColgan has been named to the CHL Home Hardware NHL/Top Prospects game next month in Toronto. Forty of the top players eligible for this summer’s draft will participate in the two day event (Jan 18-19) at the Air Canada Centre. McColgan will play for Team Orr. Catching the Portland Winterhawks for first place in the Western Conference is almost impossible for the Kelowna Rockets. Capturing first place in the BC Division and subsequently becoming the second seed in the conference is doable. The Rockets' find themselves in that exact position after an impressive 4-0 win over the Everett Silvertips Tuesday night at Prospera Place. The Rockets' returned from the Christmas break by leapfrogging over the Prince George Cougars into first place in the division with 40 points - one better than the Cougars - who fell 3-0 to the Chilliwack Bruins. Evan Bloodoff led the way with two goals and an assist. Bloodoff's markers were scored on the power play as were those off the stick of Shane McColgan and Geordie Wudrick. The Rockets were 4 for 10 on the power play. Those ten power play chances were a season high. It was Bloodoff's third-three point game of his career. In 2009, Bloodoff had three points against Medicine Hat before earning 1+2=3 against Prince George in 2008. Adam Brown made 26 saves for his first shutout of the season and 9th of his career. Prior to last night's goose-egg, Brown shutout the Vancouver Giants in March of last season by also making 26 saves. Brown now owns the third best goals against average in the league, and outside of Calvin Pickard of the Seattle Thunderbirds, no goaltender in the top ten has faced more shots than Brown. The Rockets (98) have now allowed the third fewest goals against in the WHL. Only Red Deer (85) and Spokane (97) have allowed fewer goals against. Here are Brown's numbers in December. An average of 1.76 and save percentage of .938. Those are lights out statistics outside of an overall record of 5 and 3 during the month. Rockets defenceman Colton Jobke was hurt in the second period after a hit from Tips forward Markus McCrea. Jobke appeared to suffer a knee injury. After spending some time in the dressing room after hobbling off the ice, Jobke returned to take one shift before sitting out the remainder of the game. It was nice to see teammate Jesse Astles engage Markus McCrea in a fight for the forwards actions. While their was no winner in the tilt, the 17 year-old stood tall in a bout against a much larger player. The Rockets won for the 20th time this season. Significant when you consider the only time this franchise missed the playoffs was back in 2006-07 when they won 22 times. It was nice to see the team hold a moment of silence for longtime scout Ken Cochrane before the national anthems. Cochrane died of cancer over the holidays. Cochrane's son is Glen Cochrane, an NHL scout with the Anaheim Ducks. Tonight’s Preview: The Rockets and Tips are meeting for the third of four times this season. The Rockets are 2-0-0-0 against the Tips. Both games have been decided with 4-3 shoot-out victories. The two teams close out the seasonal series February 13th in Everett. Overall, the Rockets enter tonight’s game having won nine of their last thirteen games and fifteen of their last twenty (15-5-0-0). Following tonight’s game the Rockets host Kamloops on Thursday night. The Rockets sit one point back of Prince George for first place in the BC Division. Rockets recent game: The Rockets used two goals from Shane McColgan in a 5-1 win over the Calgary Hitmen back on December 17th. Brett Bulmer had 1+3=4 while Geordie Wudrick and Zak Stebner added singles. Adam Brown earned the win, making 20 saves. The Rockets were 2 or 3 on the power play and killed off 3 of 4 penalty killing chances. The win was the Rockets 19th of the season. Who’s Hot: Shane McColgan has 3+8=11 in his last eleven games…Mitchell Callahan has 4+4=8 in his last ten games…Brett Bulmer has 4+6=10 in his last nine games. Tyson Barrie has gone ten games without a goal yet has points in five of his last eight games (0+9=9)…Geordie Wudrick has 9 goals in his last eleven games. Who’s Not: Cody Chikie has just two goals in his last 20 games. Max Adolph has no goals in his last 17 games. Zach Franko has no goals in his last eight. Spencer Main has one goal in his last 16. This and That: Tyson Barrie became the 11th player in Rockets’ history to be named to the Canadian World Junior Team. Barrie is joined on that list by Rockets’ defenceman like Shea Weber, Josh Gorges, Tyler Myers and Luke Schenn…Forward Mitchell Callahan was named to the USA World Junior Team The Rockets have allowed two power play goals against in their last seven. The Rockets are 30 for 32 over that period…The Rockets are 3 for 22 on the power play in their last five games (13/6%).….Adam Brown was the WHL goaltender of the month for November. Brown went 9-1-0-0 with a goals against average of 1.96 and a save percentage of .934….Andreas Stene is playing for Norway at the World Junior Hockey Championships. ..Two members of the Rockets are participating in the Under 17 Hockey Challenge in Manitoba. Rookies Damon Severson and Colton Heffley are part of Team West…. The Rockets have been involved in fifteen-one goal games this season. The Rockets are 10-5-0-0 in those fifteen-one goal games…Adam Brown has started twenty-one of the last 24 games…The Rockets franchise played in its 1400th regular season game December 14th in Medicine Hat. The team has 717 regular season wins….Zak Stebner (307) is one of three Rockets with over 300 penalty minutes in their career. 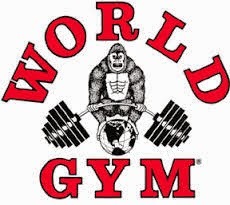 Mitchell Callahan (415) and Geordie Wudrick (341) are the others….Sixteen year-old Tyrell Goulbourne has joined the team. Goulbourne is playing midget hockey in Edmonton this season. He was taken in the 5th round of the 2009 draft….The Rockets will play ten of their next fifteen games on home ice…Of those 15 games, seven are against teams in the U.S Division…. The Rockets have the most wins (19) in the division and have allowed the fewest goals against (98). Only Spokane (97), have allowed fewer goals in the Western Conference than the Rockets…Shane McColgan led the team in scoring at the Christmas break last season and finds himself again leading the charge. McColgan had 36 points at the Christmas break one season ago…Brett Bulmer is the only Rockets forward with more points at the break than last season. Bulmer has 25 points; seven more than a year ago (6+11=17)….Former Rockets’s forward Brett McLean is playing for Canada at the Spengler Cup. McLean played 308 games with the Rockets between 1994-1998…The Rockets are 6 and 6 in 12 games this season without Tyson Barrie in the lineup. Barrie missed seven games at the start of the season with a hip injury and five games as a member of Team Canada. What a year for the Kelowna Rockets organization. 2010 will go down as another great year for the franchise, it's 19th in the Western Hockey League. Here are some of the top stories from the year that was. January 6th: Brandon McMillan and Team Canada fall in overtime to the U.S.A at the World Junior Hockey Championships. Less than 24 hours after that defeat, McMillan is welcomed back at Kelowna International Airport by Rockets head coach Ryan Huska and his teammates. January 11th: The Rockets acquire 20 year-old defenceman Dallas Jackson from Prince George for 20 year-old forward Tyler Halliday and a third round bantam pick. January 26th: General Manager Bruce Hamilton received word that he would be inducted into the BC Hockey Hall of Fame in July. Hamilton would be inducted alongside NHL player Trevor Linden. The official ceremony was held July 23rd in Penticton. January 28th: It was announced that UBC Okanagan was conducting a study on the economic impact the Kelowna Rockets provide on the city. In late October it was revealed the team generates over 31 million dollar annually to the local economy. February 12th: Cody Almond makes his NHL debut with the Minnesota Wild. February 20th: Forward Cody Chikie breaks his collarbone against the Calgary Hitmen and is lost for the remainder of the season. February 24th: Evan Bloodoff returns to the lineup after missing the first 63 games after undergoing knee surgery. Bloodoff is in the lineup against the Lethbridge Hurricanes. February 28th: Alumnus Shea Weber and Duncan Keith help Canada win gold at Winter Olympics. March 29th: The Rockets provided an opening round upset by beating the Everett Silvertips 2-1 in game seven of their opening round playoff series. April 9th: The Rockets season comes to an end with a 4-3 overtime loss in game five against the Tri City Americans. Kruise Reddick scores the game winner on the power play. April 11th: Goaltender Mark Guggenberger and captain Lucas Bloodoff are called up by the AHL Manitoba Moose. April 28th: Defenceman Tyson Barrie is named the WHL Defenceman of the Year. April 29th: The Rockets select two defenceman with their first two picks in the 2010 WHL Bantam Draft. In round one the Rockets pick Jesse Less. In round two, with the first pick in the second round, they snap up d-man Madison Bowey. April 30th: The Detroit Red Wings make it official. The NHL team signs forward Mitchell Callahan to a contract. May 14th: The Rockets organization sends out a press release saying they have given forward Kyle St. Denis until July 1st to decide if he is able to come back from a series of concussions. As it turns out, St. Denis decides to leave the team and looks at the possibility of playing in the BCHL with his brother in Trail. May 27th: Brandon McMillan signs a entry level three year deal with the Anaheim Ducks. June 7th: Ryan Huska is named an assistant coach to Canada's entry at the upcoming World Junior Hockey Championship in Buffalo, New York. June 23rd: Tyler Myers picks up the Calder Trophy as the NHL Rookie of the Year. June 26th: Brett Bulmer is taken in the second round of the NHL draft by the Minnesota Wild. June 29th: In the CHL Euro Draft the Rockets obtain the rights to 19 year-old Norwegian born Andreas Stene with the 25th pick overall. Later in the draft they acquire forward Gal Koren. July 18th: Chicago Blackhawks defenceman Duncan Keith brings the Stanley Cup back to Penticton. September 22nd: The Minnesota Wild sign free agent defenceman Colton Jobke. September 23rd: GM Bruce Hamilton is named the Kelowna Chamber of Commerce 'Business Leader of the Year". November 21st: Brandon McMillan makes his NHL debut with the Anaheim Ducks against the visiting Edmonton Oilers. 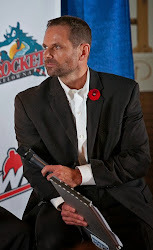 December 2nd: The Rockets announce head coach Ryan Huska has signed a contract extension with the team through 2013-2014. December 7th: The Rockets acquire Zak Stebner from the Tri City Americans and releasing 20 year-old Branden Wall. December 15th: Tyson Barrie is named to the roster for the Canadian World Junior team. Am I missing something here that you see as significant for the Rockets organization in 2010? If so, leave a comment. Have a great Christmas and thanks for stopping by the site. See you back here on the 27th. His official name is John - Mitchell - Callahan. His dad's name is Vincent - Michael - Callahan and his grandpa's name is John - Frank - Callahan. All three go by their middle names. Callahan came to the Rockets on a free agent tryout thanks to Jack Bowkus. Bowkus and Callahan's dad Mike coached together down in California. Bowkus has also coached current Rockets Shane McColgan and alumnus Colin Long. Bowkus is a former defenceman with the Saskatoon Blades. Callahan attended the Rockets training camp rather than explore an option with a tryout from a N-A-H-L (North American Hockey League) team. Callahan started playing hockey at 7 and a half with his only coach being his dad Mike until he landed on the door step of the Kelowna Rockets. Callahan has always played forward, yet his dad used him at centre as well as right and left wing. Outside of hockey, Callahan loves to skateboard. Callahan's nickname growing up was 'Tricky'. Like most pests on the ice, Callahan is easy going off it and loves kids. Considers Darcy Tucker and Dan Carcillo as his favourite NHL players. Like that's a shock! Outside of Detroit - the team that drafted him - Callahan admits he likes the Philadelphia Flyers. Callahan was considered one of the most hated players in his age group in California. If you were on his team you didn't share that same opinion. Callahan has six fighting majors this season. At the Christmas break one season ago, Callahan had 11. Mitchell Callahan has done it. 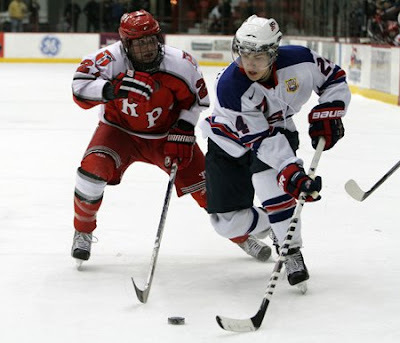 The 19 year-old has earned a spot on the 22 man roster for the USA World Junior Team. The Kelowna Rockets co-leader in points at the Christmas break will add some grit to an American team that is the defending tournament champions. I received confirmation from Callahan on a quick e-mail this morning at 5:59 am. Callahan isn't a morning person, but it was likely the best news he's received right out of bed. The leaders on the Kelowna Rockets deserve a lot of credit for keeping their teammates focused in a 5-1 win over the Calgary Hitmen Friday night. Often times it's tough to focus, especially when you are playing the final game before the Christmas break. But 20 year-old's Zak Stebner, Geordie Wudrick and Evan Bloodoff all found the score sheet in the teams 19th win of the season. Brett Bulmer had a career high four points. With a goal and three assists, Bulmer enjoyed success playing with Shane McColgan and Zach Franko. McColgan had two goals and an assist while Franko had two helpers. Franko was moved onto that line with the absence of Mitchell Callahan, who was at the USA World Junior training camp. Stebner's goal against his old team had to feel good. The Hitmen traded him away to Tri City before the 20 year-old eventually landed in Kelowna. 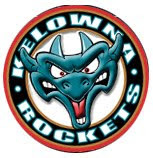 It was Stebner's first goal in a Rockets uniform and third point wearing Kelowna colours. McColgan's three point night moves him into a tie for the team lead for points at the Christmas break. It's interesting to note that McColgan led the Rockets in scoring at the Christmas break last season too. Fifteen year-old Jesse Lees made his Rockets debut against the Hitmen and I liked what I saw. Lees looked more comfortable than Madison Bowey did in his debut Wednesday night against the Hurricanes. Lees had the advantage of playing a few exhibition games, so the transition from the speed of midget hockey to the junior game likely wasn't as great. Both defenceman are going to be dynamic players in this league. As TSN's Pierre McGuire would say, "get excited Kelowna". It feels good to be in first place. The win moved the Rockets into first place in the BC Division, one point better than Vancouver. First place in the BC Division means the second seed in the conference. It was likely a quiet bus ride back to Kelowna after the game with only five on board outside of the bus driver. Only two players went back to Kelowna on the bus with the remaining 21 flying out of Calgary early Saturday morning. The Rockets don't return to action again until December 28th. Zak Stebner admits it will feel odd playing in Calgary tonight. The Kelowna Rockets defenceman won a WHL championship with the Hitmen last May. In fact, it was May 7th that Stebner last played at the Saddledome and lifted the Ed Chynoweth trophy over his head. He remembers it fondly as 15 thousand 335 fans cheered them on to victory. Stebner was seen with a Hitmen jersey in his hand Thursday as the team made a quick stop at the Saddledome to watch the NHL's Leafs and Flames work out. The Hitmen gave Stebner his Hitmen jersey from the championships season. Nice touch. The Rockets have called up 15 year-old Jesse Lees for Friday's game. Lees was the Rockets 1st round pick in 2010 WHL Bantam Draft. Lees will make his WHL debut, much like 15 year-old Madison Bowey did Wednesday night against Lethbridge. Is this a repeat of what we saw when Tyler Myers and Luke Schenn were teammates in Kelowna? Only time will tell, but it's awfully exciting. Both Lees and Bowey will play at the Mac's Midget Hockey Tournament in Calgary at Christmas. Mitchell Callahan has left the team. The Rockets leading scorer was up bright and early Thursday as he flew out of Calgary for the start of the USA World Junior Team main camp in Flint, Michigan. Callahan has to play his game or he will quickly return home to California for Christmas. The 19 year-old is not being looked upon to provide offense for the Americans, but grit and sand paper with a relentless fore check will earn him a spot on the team. 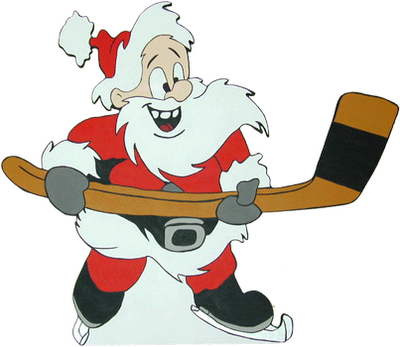 Last season the Rockets final game before Christmas was played in Saskatoon. The Rockets lost that game 4-1. I had to ask the question. What is the Rockets record over the years in the teams final game before the Christmas break? Since the 2000 season, the Rockets are 6 and 4 in games prior to Christmas. The Rockets last ended the Christmas break with the final game in Calgary on December of 2002. Cam Paddock had three goals in the 5-3 win while Ryan Cuthbert had two assists and was a +3. The last time the Rockets played their final game before Christmas at home was on December 19, 1998. The Rockets beat the Prince Albert Raiders 9-2. Low scoring games have been the story during the Rockets Alberta road trip. Kelowna has scored just 9 goals (2.25 goals per game scored) in four games while allowing 7 goals against (1.75 goals against). Adam Brown may have a record of 3 and 3 in December, but he has the 3rd best statistics in the WHL during the month. Brown has a goals against average of 2.18 and a save percentage of .927. Only Red Deer's Darcy Kuemper (1.94 - save % .927) and Medicine Hat's Tyler Bunz (2.08 - save % 924) are better. Geordie Wudrick has 15 goals, which is good for a tie with Mitchell Callahan for the team lead in goals. What took me by surprise is only three other skaters have fewer assists than Wudrick. Jesse Astles and Mitchell Chapman have two assists while MacKenzie Johnston has no assists, or points this season. Wudick has just three assists. This pic was taking as Luke exits the Leafs dressing room for the morning skate at the Saddledome in preparation for tonight's tilt with the Flames. I spoke to Schenn and will post the interview shortly. Luke Schenn spends some time talking with Rockets' forwards Evan Bloodoff and Shane McColgan. These two guys were standing outside the Saddledome wanting Schenn to sign their jersey's. The Rockets made a quick pit stop this morning at the Saddledome in Calgary to watch both the Leafs and Flames skate. The two teams face one another tonight obviously. It was a chance to touch base with Leafs d-man Luke Schenn who is as quality of an individual as you are going to find. 'Schenner' is living the life but doesn't forget those that he's met along the way. A good example was when I spoke with him this morning prior to the skate and inquired if we could meet for an interview. "Ya sure, just meet me in the Leafs dressing room after," Schenn told me. So I am watching Schenn during the pre-game skate up in the stands and when the session is over, he signals me to come down to the dressing room for the interview. He could have just skated off the ice which would have been enough of a cue for me to come down, but he gave me the old 'stick wave' on the ice and away I went to meet him. It just showed me again that 'Schenner' may be playing in the big league's but he is still the same player I grew to appreciate when he was cutting his teeth with the Rockets just a few years ago. I may have to give Schenn an endorsement deal, as he commented on the interview I conducted with him that he is still a regular reader of the 'Rant'. He says the 'Rant' is the only way he keeps in touch with what's happening with his old team. It was good to touch base with Leafs radio play-by-play man Dennis Beyak. Beyak and I live in the same neighbourhood in Kelowna and it was good to talk shop with him over things that transpired for both of us late this summer. I also took some time to introduce myself to Joe Bowen. Bowen is essentially the TV voice/face of the Leafs. It was interesting to get his take on how he prepares for games, what he looks for in the pre-game skate and other things pertaining to a good broadcast. Leafs GM Brian Burke looked business like as we crossed paths this morning near the Leafs dressing room. The rather stoic Burke was friendly enough to say "good morning" as he walked by. Say what you want about Dion Phaneuf, but the Leafs captain impressed me this morning. As the Rockets players were walking by him, Dion said to them "hey fella's". Nothing major here, but at least he acknowledged them. He could have simply walked by them without saying a word. For the Kelowna Rockets organization, it was a distant memory. The Rockets arrived at the Enmax Centre Wednesday night riding an eight game winless streak in Lethbridge dating back to February of 2003. It was February 9th of that season that Ryan Cuthbert, the then captain of the Rockets, scored once and added an assist and was named the first star in a 4-3 win. This time Cuthbert was behind the Rockets bench as a coach as the winless streak came to an end with a 3-2 shootout victory. Kevin Smith and Brett Bulmer scored in regulation before Geordie Wudrick and Shane McColgan scored in the shootout as the Rockets improved to 2 and 2 on a five game Alberta road trip. Dylan Tait had something to prove against his old team and didn’t disappoint. The Rockets 5th round pick in the 2006 draft made several solid saves in an attempt to bury his old team. The 19 year-old goaltenders best stop came off of Rockets forward Zach Franko in overtime. Franko found himself with the puck at centre ice with time ticking down. Franko skated inside the zone, faked a shot, skated past the Hurricanes defenceman and found himself one-one-one with Tait. Franko went to the backhand and roofed the puck high, only to see it niftily snagged out of mid-air by Tait’s glove. Jordon Cooke was solid in goal for the Rockets. The 17 year-old showed an especially quick glove hand, robbing Hurricanes forward Cam Braes on no less than two occasions. Is there anyone better in the WHL at scoring shootout goals that Geordie Wudrick? Wudrick again scored with a nice back hand which saw the puck cleanly go through the legs of Tait. Even if Tait had seen the move before, I am not sure he could have stop him. Madison Bowey made his WHL debut Wednesday night. The Rockets second rounder saw playing time alongside 17 year-old Mackenzie Johnston. The 15 year-old found himself on the score-sheet in his first game after being accessed a penalty in the opening period. Brett Bulmer celebrated his 100th WHL game with his 11th goal of the season. Forward Mitchell Callahan played his final game with the Rockets Wednesday night before heading off early Thursday morning for the start of the USA world junior team training camp. The Rockets remain a point back of Vancouver for first place in the BC Division. The Giants beat Everett 3-0. The Rockets have 18 wins, the most of any team in the division. As strange as this may sound, only Portland (25) has more wins in the Western Conference than the Rockets. The Rockets had gone six straight games without allowing a power play goal. That ended Wednesday night as the Hurricanes, with the second worst power play in the league, scored with the extra man just four minutes into the game. Up to that point, the Rockets were 25 for 25 on penalty kills. Cuthbert earns first WHL coaching win! A fire on the Rockets bus! Is Novotny a no-go against his old team?